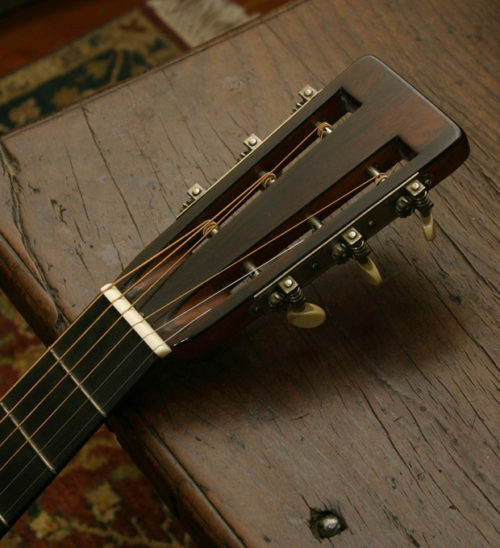 100% crack-free, structurally perfect, this 00-28 is gold standard for 12 fret, pre-war Martin Brazilian Rosewood tone. 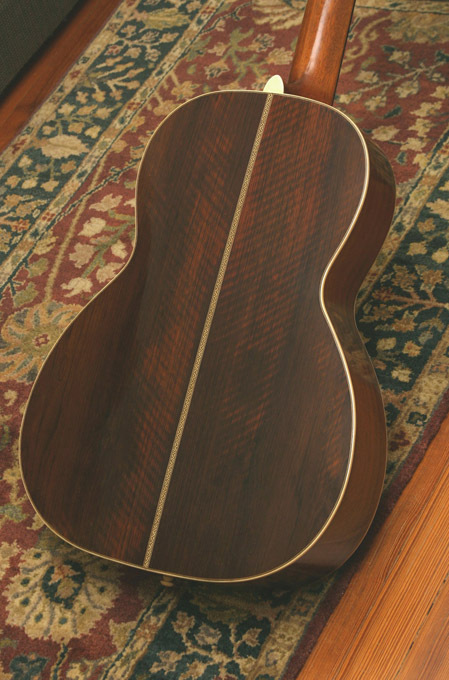 Refinished to exquisite standards some 40 years ago, this 00-28 has some of the most stunning Brazilian rosewood ever used by Martin. 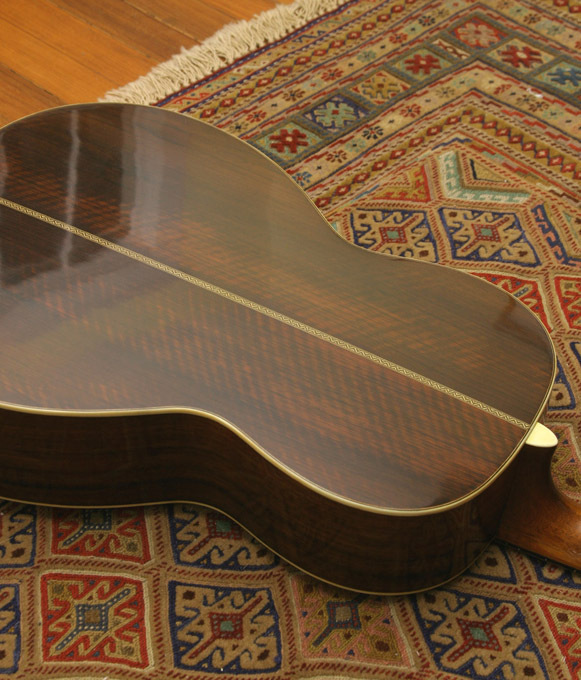 This is the most beautiful, best sounding “Herringbone” prewar 00-28 we’ve seen. 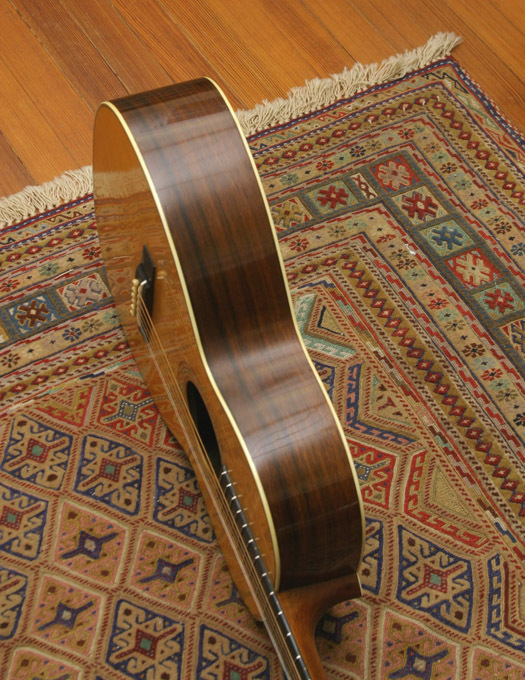 And with mileage on the finish, at the Arlington Guitar Show last fall, several top vintage guitar dealers were not sure if this wasn’t the original finish on the guitar­, it’s that good. It is braced for steel strings. 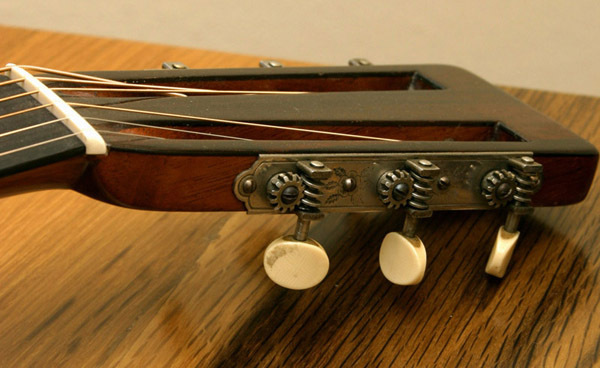 It has held steel strings for years, and not only are there no cracks or stress issues, there is no bellying behind the bridge. 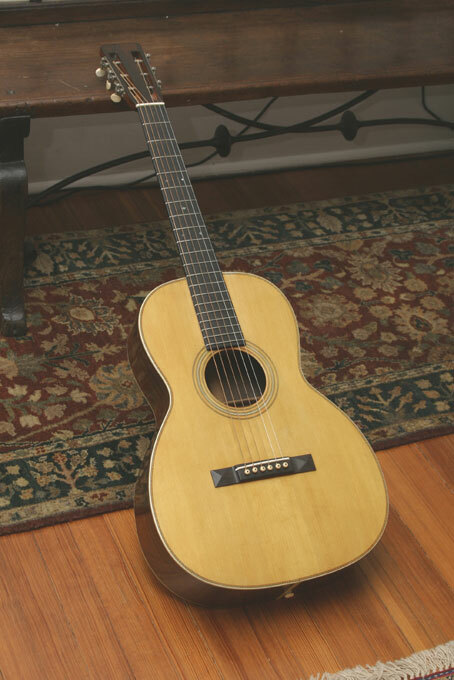 And if that’s not enough, there is a letter from Mike Longworth, signed by Longworth and dated 1984, documenting the guitar, and suggesting the use of steel strings on it. 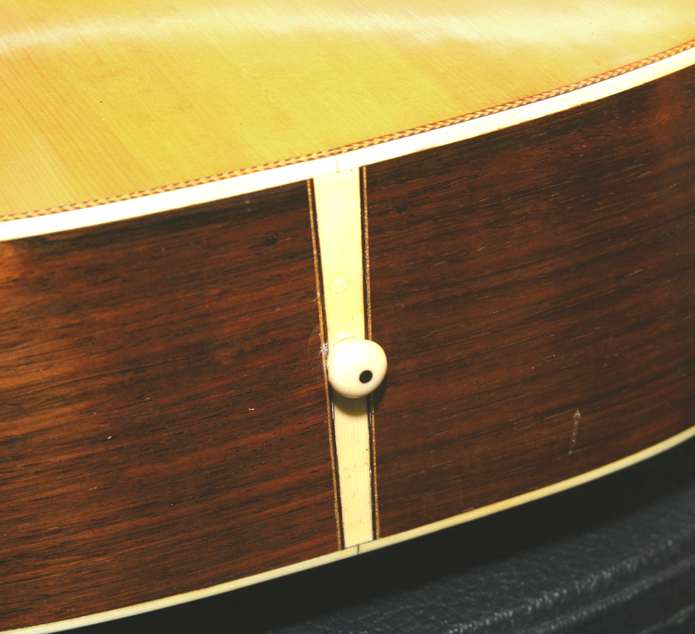 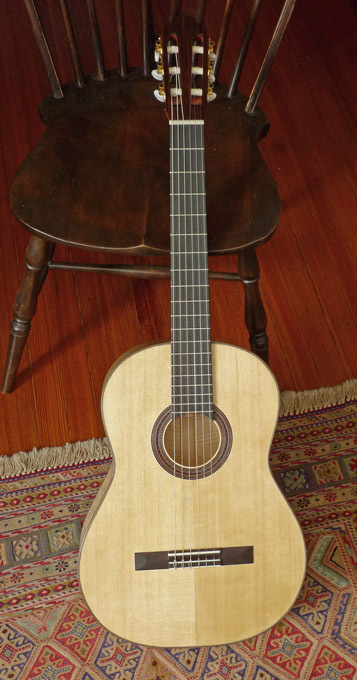 Bridge is a perfect Brazilian Rosewood replacement, done by us, with old growth Brazilian. 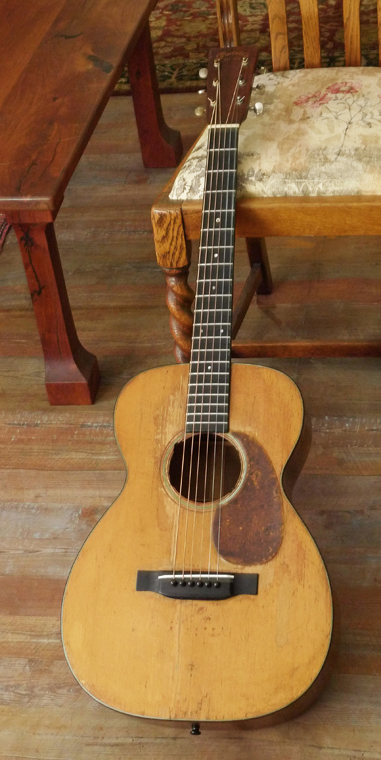 Pick this guitar up, and you won’t put it down for hours.